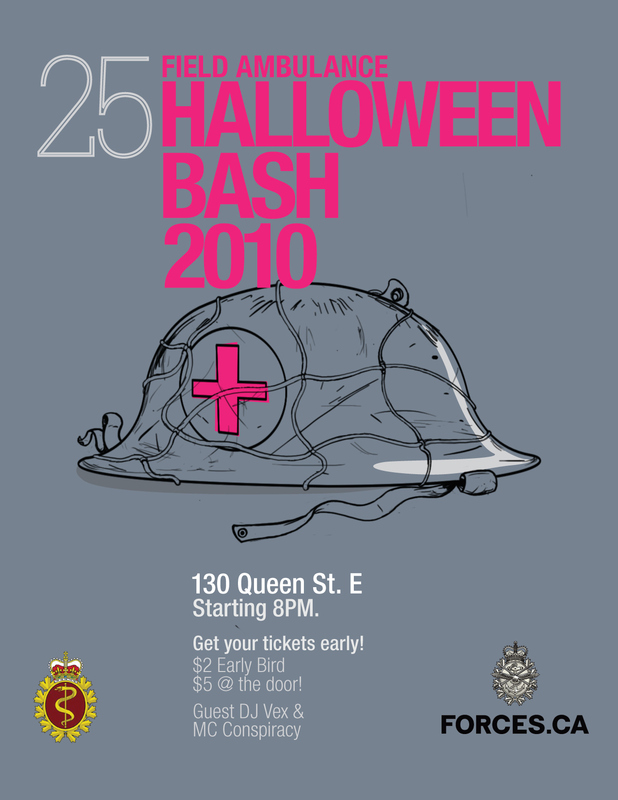 Postcard sized double sided Halloween party invite. Done for fun. 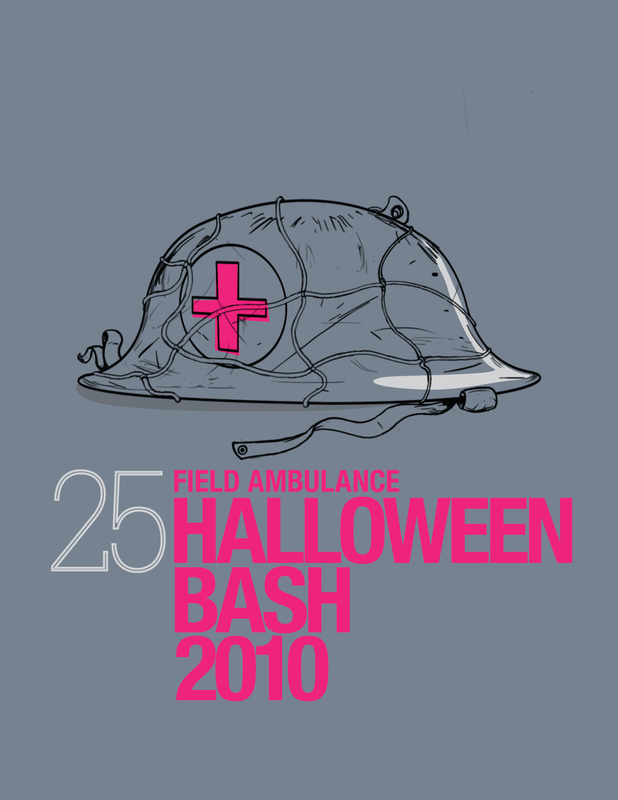 I was asked by a friend to create a party invite for Halloween for her unit (Army). This was a great opportunity for me to test out my tablet (recently acquired), hence the illustrated helmet. Mind you I particularly enjoyed this project considering that all of this was made using the stylus and not the mouse- was serious fun! The final is a double sided postcard sized print.